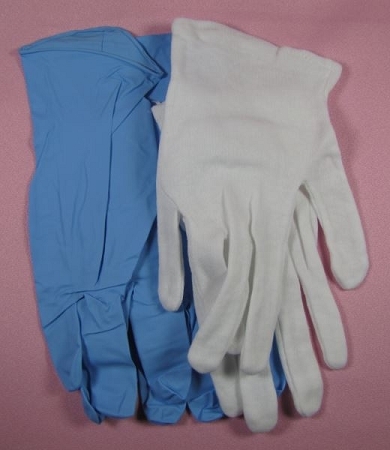 These glove sets will protect your hands from melted isomalt and other food mediums while preventing fingerprints on your finished work. The cotton layer, worn next to the skin, insulates your hands from hot liquids, while the outer latex-free gloves provide another layer of protection while giving your pieces a finished look. These gloves are by CakePlay. Instructions included.